Lunch is probably my favorite meal of the day. 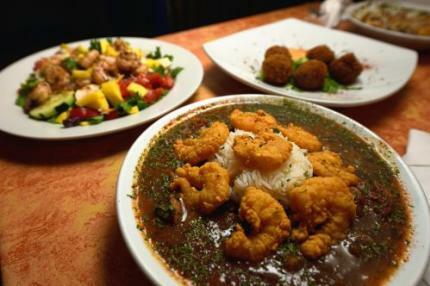 Working in Metairie, I have a lot of delicious restaurants to choose from to satisfy my cravings! I checked with my trusty travel partner, TripAdvisor, for the top rated (by locals and visitors) lunches in town and this is what I found! "Love the food at this restaurant! We had the seafood gumbo, seafood pasta, charbroiled oysters and a few other dishes...everyone tried something different...everything delish...service great." Reviewed by NewIberia_laGbl New Iberia, LA on October 19, 2017. "Best oysters in New Orleans"
"Here&apos;s where charbroiled oysters were conceived. Best in the city. Also best selection of lobster, any size you like." Reviewed by Eileen Reuther B Metairie, Louisiana on October 13, 2017. "I ordered shrimp etouffee with fried crawfish. My husband got a 10 in pot roast po&apos; boy with Swiss cheese. My parents got the melody trio (jambalaya, gumbo, red beans and rice) and the fried crab fingers. Everything was absolutely delicious. Service was good as well. We shared a bread pudding after supper and it was wonderful as well. Great place to eat at!!!!" Reviewed by PrettySpoiled Forest, Mississippi on August 10, 2017. "We eat here once or twice a month, and it&apos;s always on the itinerary when family or friends visit. Out-of-towners always love it, as does my husband. I like it very much. 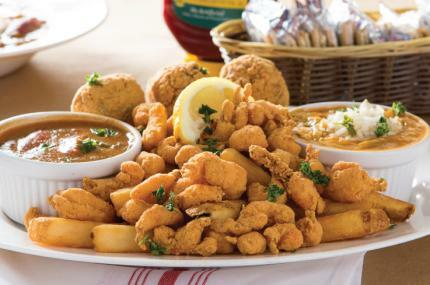 The seafood is well-fried, and the oysters always seem to be good, even when it&apos;s not peak oyster season. 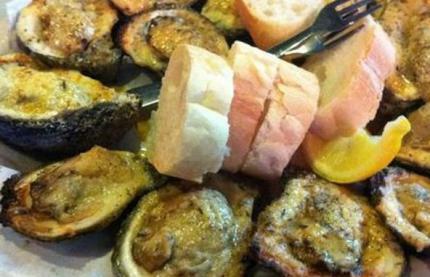 Char-grilled oysters are especially tasty." Reviewed by NOmadfolk2 New Orleans, Louisiana on July 23, 2017. "Best salads and Mediterranean Hummus!" "Best salads and Mediterranean Hummus! 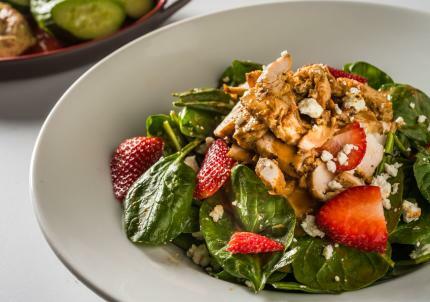 Great salad that includes all of their fresh proteins. The pesto crusted fish is fantastic!" Reviewed by planbnola New Orleans, LA on July 16, 2017. "Went to dinner at Deanie&apos;s Seafood and the food is amazing the seafood platter will knock you off your feet and it&apos;s enough for 2. I simply loved this restaurant and is on my list to revisit on my next trip the food was that good." Reviewed by 662feliciah Lafayette, Louisiana on August 25, 2017. "When I am in Metairie I always dine at Deanie&apos;s in Bucktown ! 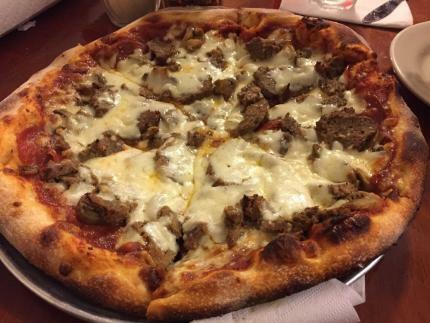 The food , the service and the atmosphere are always consistent and outstanding!" Reviewed by Mark H Baton Rouge, Louisiana on September 29, 2017. "Great for lunch or dinner"
"Definitely one of my favorites over the last 35 years for po&apos; boys (shrimp, oyster, roast beef, and soft-shelled crab parmesan). They also have an awesome flavor red sauce for spaghetti and pizzas." Reviewed by Gregory R Metairie, Louisiana on September 13, 2017. "Unique Take on Italian Creole Specialties"
"You have probably had a veal parmesan dish and maybe veal parmesan sandwich. But have you ever had a Soft Shell Crab Parmesan Sandwich? Head to R & O&apos;s if you want to experience such a sublime dish. They even have a soft shell crab on the Kid&apos;s Menu! 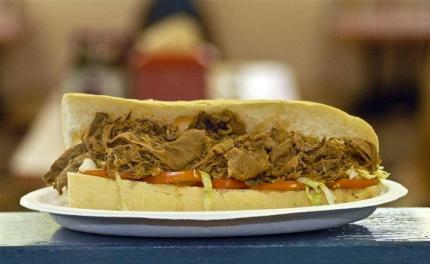 But don&apos;t overlook the roast beef po-boy!" Reviewed by Carbonara46 River Ridge, Louisiana on August 8, 2017. "I grew up a couple of streets away, used to ride my bike over to pick up po&apos; boys for dinner. Real po&apos; boys with the crusty bread. Every time I come to Metairie I try to stop by and pick up roast beef and some Barq&apos;s." Reviewed by R1607KDmarys Baton Rouge, Louisiana on September 29, 2017. "If you have a car, and want to find a real locals place - this is it! You order and pick up at a counter and leave full and with money left over! Two can have small roast beef po&apos; boys, a little cup of potato salad and a small beer - $15. Make this a lunch stop on your next visit!" Reviewed by romans67 Miramar Beach, Florida on August 13, 2017. Great atmosphere & the food is divine. Freshly prepared & authentic. This place reminds me of the old New Orleans restaurants my dad would bring me to years ago. Prices are very reasonable. We had the oyster casserole type appetizer (can&apos;t remember the name) and it was very tasty. 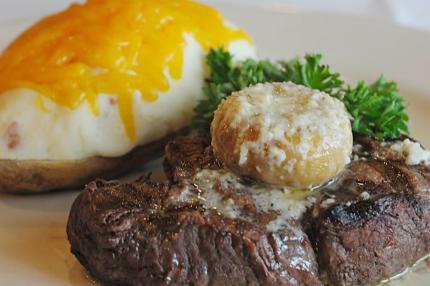 Daily specials are not to be overlooked as they are yummy. I had a veal & eggplant special that was topped with LUMP crabmeat. De-lish. Alex was our server he was prompt, friendly & knowledgeable. Plate licking good! Reviewed by robinup Covington, Louisiana on July 10, 2017. Parking is good, at least during breakfast. Property is clean. Noise level is medium. Reception was professional. Menu was creative. Service was above average and solid. Food was well seasoned and had good presentation. Food was hot and fresh. Pricing fit. Overall good quality. Reviewed by Edward S Incline Village, Nevada on April 9, 2017. Now, these are just some of the top-rated lunch spots in Metarie according to TripAdvisor. Do you have any favorites? Let me know in the comments!